I beat the living doggie doo out of my turbo engine. It's just fun to do. Flying down the highway at 70mph and boosting up to 100mph. I have a bunch if extra components that just go along with having a turbo. I was wondering if anyone had any recommendations for torque bars to attach to the engine then the frame to help keep the engine in place to stop rattling snd also wear and tear. brandoncw wrote: box in the sub frame some and get or make solid/stiffer engine mounts? A quick down and dirty way to do a strap for the engine is to use a piece of cable or chain. The '61 250 (NA) uses Grade #8 bolts with locking nuts loosely thru the original type motor mount plates / rubber to limit movement. powerband wrote: A quick down and dirty way to do a strap for the engine is to use a piece of cable or chain. i was thinking of making something like a big splitter rod. 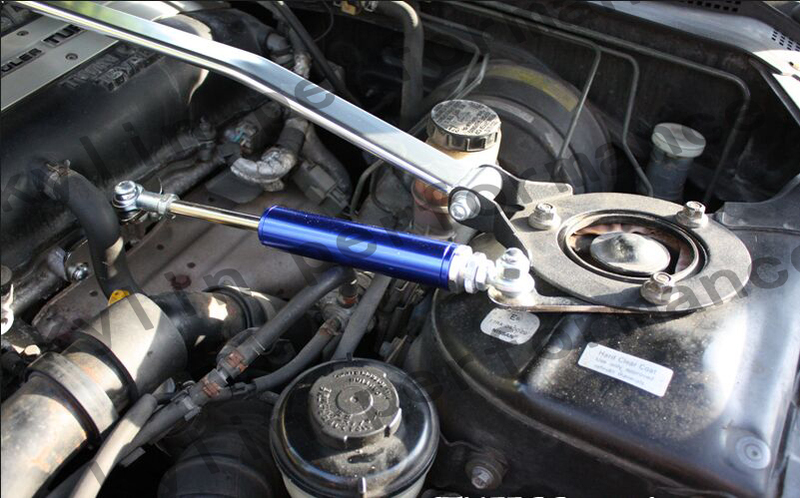 A heim joint on each side and an adjustable rod in the middle and attach it to the engine and to the frame. I would not attach it to the same places this one is but this is just an example. mmm I think it transmits the vibrations to the chassis, but it can work. Elastomer motor mounts are used on these sides, like these. fakundo__92 wrote: mmm I think it transmits the vibrations to the chassis, but it can work. Elastomer motor mounts are used on these sides, like these. I use a standard turnbuckle. furthermore, I brace the transfer case which is affixed to the rear of tge transmission. in this manner it helps solidify the entire unit. This works very well and creates zero vibration if you leave the bolt loose.